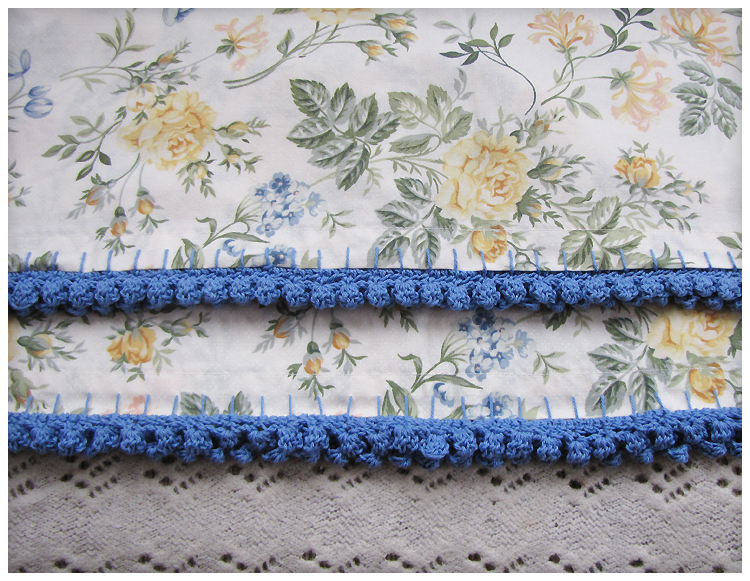 ... crocheted some trim for pillowcases. 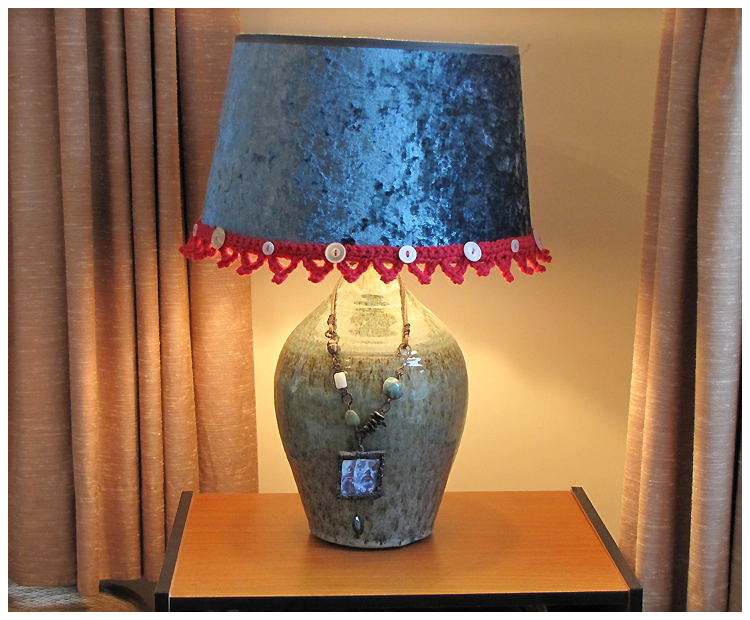 I really enjoyed this project, it was quick and easy and cheap using op shop pillowcases. Choosing the thread colour made me really happy! ... crocheted a pink scalloped trim for the lampshade. A bit of silly fun really, I wanted to bring the hot pink colour scheme into this corner of the room and I didn't feel like getting a whole new lamp shade. 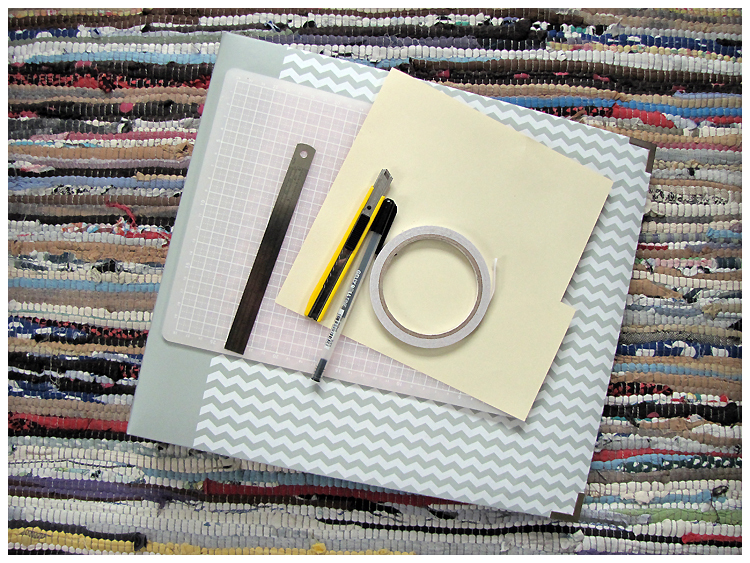 The trim is just pinned on at the back so it's easy to change later. Then I brought out the button box and sewed on some random white buttons. The word on the snow is that, while it hit many parts of the south island today, it hasn't snowed in Christchurch to my relief. It's still bitterly cold and wet though and as they keep telling us, the worst is yet to come. I'll be putting some extra blankets on the bed tonight! Hope you are all keeping warm and cozy. Well, I'd love some of that heat but you can keep the humidity! Hope you're having a great summer in the garden.